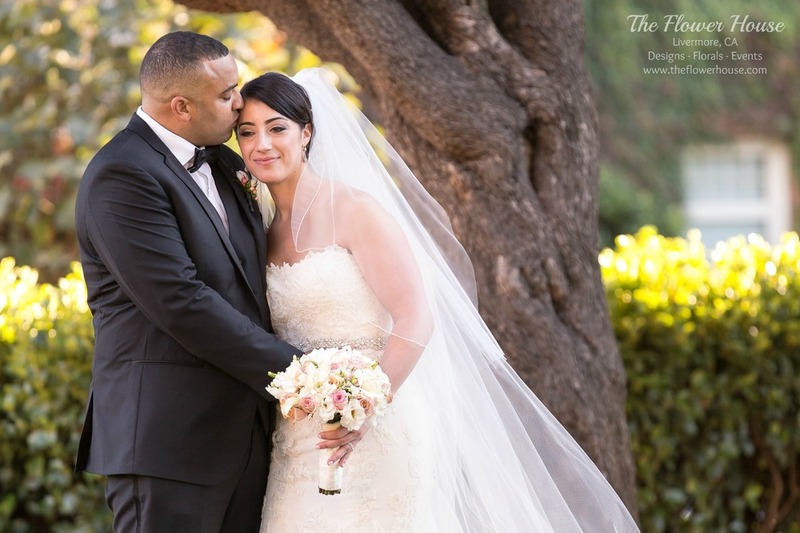 This beautiful couple had their wedding reception at the majestic Mark Hopkins Hotel in San Francisco, CA. The bride carried a soft textured bouquet with gardenias, roses, and freesia. The bridesmaids wore burgundy dresses and carried a hand tied bouquet in blush pinks. 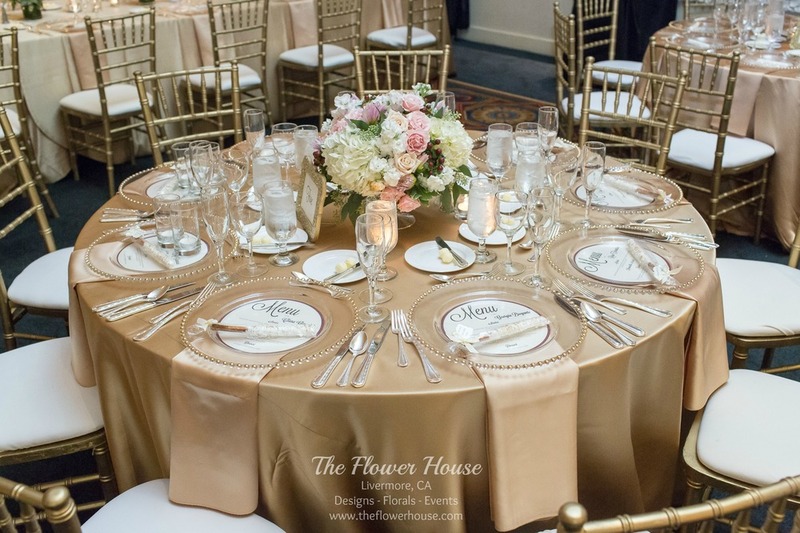 The lovely reception was in soft colors and flowers with high and low arrangements that included hydrangeas, roses, dahlias, and berries. The beautiful photos are by JC Page Photography.